Climate in Indian Himalayan region is suitable for growing of different aromatic crops like Rose (Rosa damascena), Lavender (Lavandula angustifolia), Geranium (Pelargonium graveolens) and Tagetes. 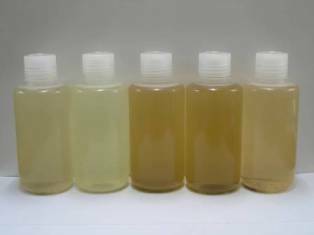 Country is importing most of these oils from outside. Introduction of these crops in the selected areas was taken up by different agencies but failed to achieve the desired results due less yield and economic returns with respect to other cash crops. HRG evaluated (Rosa damascena), Lavender (Lavandula angustifolia) and Geranium (Pelargonium graveolens) for agriculture diversification and observed that crops do perform to the level as they were projected by different agencies. Yield of oil in Geranium was quite less and plant was quite sensitive to rain and susceptible for fungal infection. 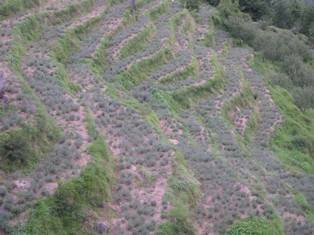 In case of Lavender yield of oil was good but production of spikes in the field was limited. Rose oil on hilly terrain fragmented level was difficult. HRG is prmoting Lavender and Rose for field planting which is restricted to demonstration and farmers are not yet involved in cultivation. The rose crop is distilled for rose water and spikes of lavender are dried for making room fresheners which is more lucrative than lavender oil. In case of good flowering distillation is also carried out to supply the high grade pure Lavender oil. Lavender spikes and oil is help in relieving insomnia, sleeplessness and fatigue. 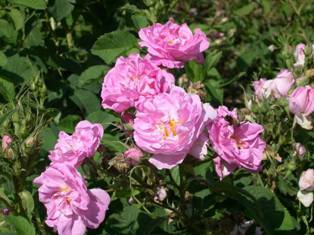 Rose water is supplied in limited quantities to cosmetic and medicinal use. Quality planting material of Lavender and Rose is available at HRG regional station at Mandi.